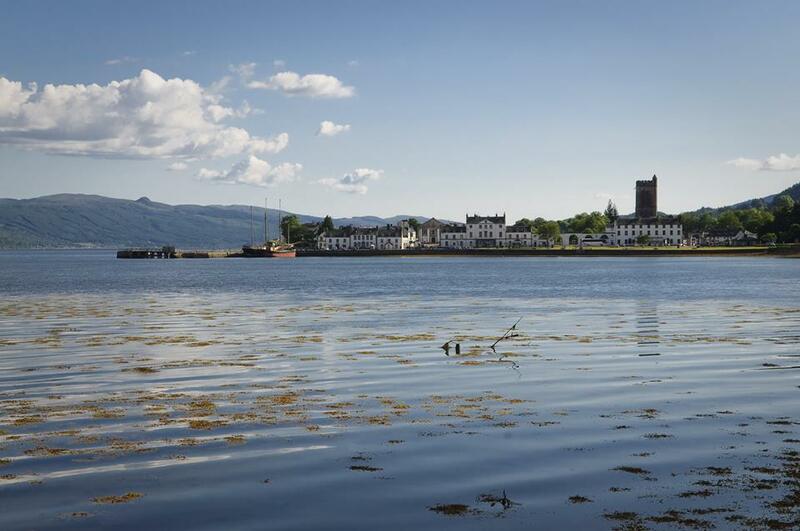 The small town of Inveraray on the shores of Loch Fyne has been the seat of the Clan Campbell for centuries. 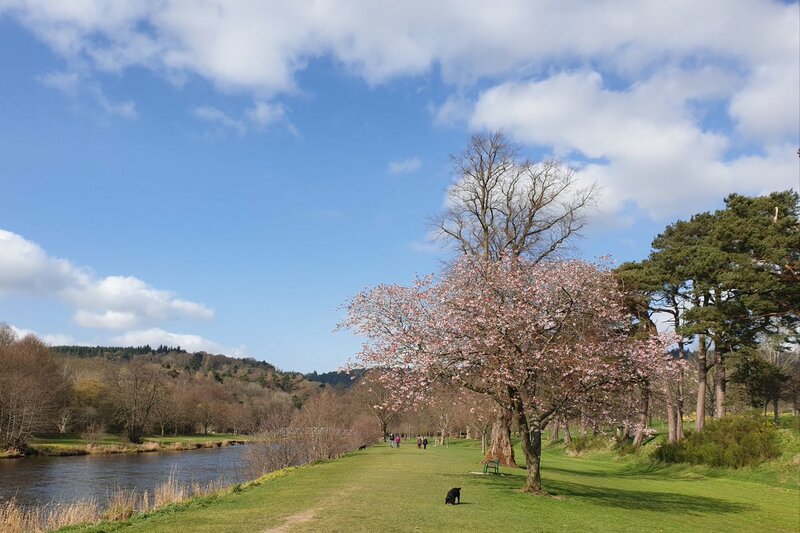 Land was granted to the clan chief by King Robert the Bruce as a reward for the clan’s support at the Battle of Bannockburn in 1314, and there has been a castle here since the 1400s. In the mid 18th century, the old 15th century castle was rebuilt, and the town was moved a little further to the west to give the castle more seclusion. Much of the town was built between 1772 and 1800, and is a classic example of a planned town of this period. Inveraray Castle is open to the public, and boasts a superb collection of arms and armour, beautiful hand-painted interiors as well as several ghosts! The current clan chief, His Grace the Duke of Argyll, can often be found serving in the castle gift shop. Elsewhere in the town you can visit the 19th century Inveraray Jail, or climb up Dun na Cuiache, the hill behind the castle. On top of the hill sits a small tower, which is in fact a folly built by the Duke of Argyll in 1748 – the views from here are spectacular. For a small town there is a great selection of places to eat. We can recommend the Samphire seafood restaurant as well as the excellent bar food in the George Hotel. The local Loch Fyne Oyster Bar, just a few miles outside town, is a mecca for fans of seafood and smoked salmon which is made in the smokehouse on-site.